Cain and Abel :- The top password recovery tool for Windows. This Windows-only password recovery tool handles an enormous variety of tasks. It can recover passwords by sniffing the network, cracking encrypted passwords using Dictionary, Brute-Force and Cryptanalysis attacks, recording VoIP conversations, decoding scrambled passwords, revealing password boxes, uncovering cached passwords and analyzing routing protocols. John the Ripper :- A powerful, flexible, and fast multi-platform password hash cracker. John the Ripper is a fast password cracker, currently available for many flavors of Unix, DOS, Win32, BeOS, and OpenVMS. 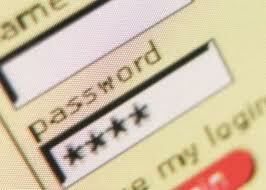 Its primary purpose is to detect weak Unix passwords. It supports several crypt(3) password hash types which are most commonly found on various Unix flavors, as well as Kerberos AFS and Windows NT/2000/XP LM hashes. Several other hash types are added with contributed patches. THC Hydra :- A Fast network authentication cracker which support many different services. When you need to brute force crack a remote authentication service, Hydra is often the tool of choice. It can perform rapid dictionary attacks against more then 30 protocols, including telnet, ftp, http, https, smb, several databases, and much more. L0phtCrack, also known as LC5, attempts to crack Windows passwords from hashes which it can obtain (given proper access) from stand-alone Windows NT/2000 workstations, networked servers, primary domain controllers, or Active Directory. In some cases it can sniff the hashes off the wire. It also has numerous methods of generating password guesses (dictionary, brute force, etc). Pwdump :- Windows password recovery tool. RainbowCrack :- An Innovative Password Hash Cracker. The RainbowCrack tool is a hash cracker that makes use of a large-scale time-memory trade-off. A traditional brute force cracker tries all possible plaintexts one by one, which can be time consuming for complex passwords. RainbowCrack uses a time-memory trade-off to do all the cracking-time computation in advance and store the results in so-called "rainbow tables". It does take a long time to precompute the tables but RainbowCrack can be hundreds of times faster than a brute force cracker once the precomputation is finished. This Windows-only cracker bangs against network services of remote systems trying to guess passwords by using a dictionary and permutations thereof. It supports HTTP, POP3, FTP, SMB, TELNET, IMAP, NTP, and more. can i use this on FACEBOOK? ?